For five-piece cabinets, homeowners are often doing traditional placements for knobs and pulls. They usually center the knobs in the corner of the face frame, making it appear in the center of both horizontal and vertical frame pieces. Consider balance, proportion and aesthetics when choosing the size of a pull or knob for your kitchen or bathroom cabinets. A huge drawer may not look good if paired with small hardware. It demands a larger piece for functionality and efficiency. Drawer pulls come in a wide array of shapes, styles and textures. They also have specific hardware requirements so homeowners must have the correct tools necessary for their project. For the placement, the distance will depend on the style of the pulls, but homeowners should ensure proper spacing. The proper placement of knobs and pulls can add a sense of style to your cabinets and drawers. So choosing the hardware that fits your style is the first step in successfully reimagining your bathroom or kitchen space. You may not have given it much consideration before, but the proper placement of your knobs and pulls can make a massive difference in your furniture’s look. Let our design specialists take care of your kitchen remodeling, including your kitchen cabinets. 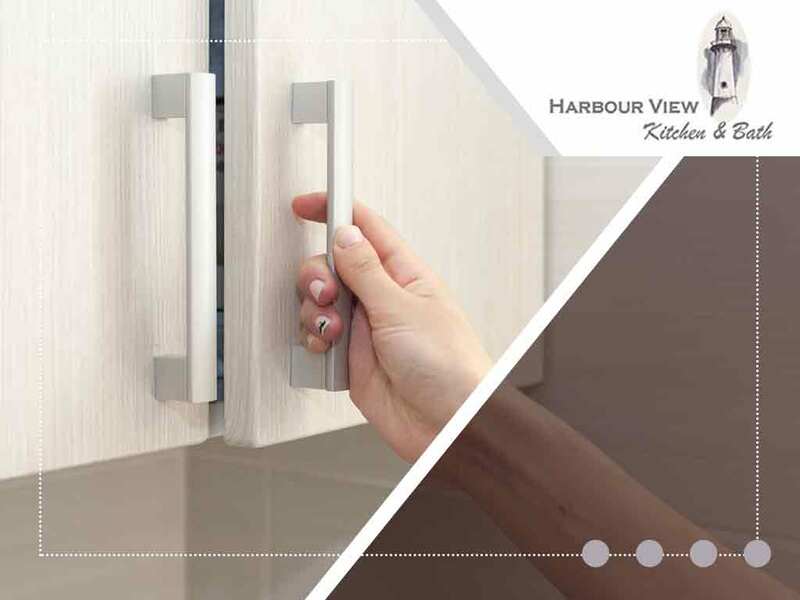 Harbour View Kitchen and Bath has the tools and expertise you need to make your renovation project a success. We offer our renovation services throughout the Norfolk, VA area. Call us at (757) 644-0848 so we can talk about our capabilities.